AMEN Corner: Are Miracles For Today? When I was a little boy, Superman was my hero. I loved that TV show! Superman could fly through the air and catch Lois Lane as she was falling off the top of the building. He could use his super strength to lift a locomotive off of a pinned car. He could burrow through the ground using his body like a drill to rescue a little boy in a cave-in. He could use his X-ray vision to see what the bad guys were doing and use his super hearing to hear what they were saying. Superman stood for Truth, Justice and the American Way. He always used his powers not for his own benefit, but for others. But of course Superman was a fictional character. A fantasy. A fairy tale hero. And now today, in some countries, belief systems and even in some Christian denominations and churches, the miracles of Jesus Christ are no more real than Superman’s X-ray vision. 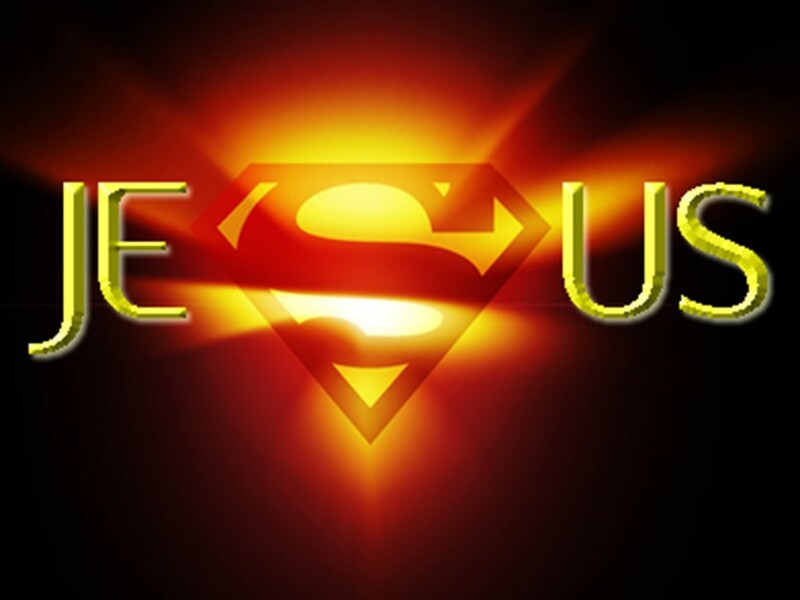 To a growing number of those in our younger generations, the Son of God is just another fictitious super-hero. And sadly, there are many people in our own Nation who would agree with the Russian museum. Many in America’s progressive liberal church movement read their Bible and love the Lord. But their desire to conform to secularized cultural beliefs about the Bible requires that they put the miracles of Jesus Christ into the category of “biblical fairy tales.” Some conservative Reformed churches do believe that Jesus and His disciples did perform miracles but conclude that all of God’s miracles ceased after the New Testament was written. They teach that a so-called “miracle” today is nothing more than our wishful thinking. Jesus Christ is the same yesterday, today and forever Hebrews 13:8 and the miracles of God are also unchanging. The early Church Fathers wrote extensively about the spiritual gifts and the miracles that were continuing in the ancient church. It wasn’t until 1500 years later that Protestant churches denied their existence. Miracles are defined as God’s intervention in the natural. It is not the hand of man that brings about a miracle. It is the sovereign super-natural power of God. And, despite what some churches teach, miracles happen every second of every day! I was talking with a City attorney I know. We were talking about medical records and he told me about his mother. She is alive today, but she should have died when her son was six years old. That was when she was diagnosed with breast cancer. It had rapidly grown and there was a very large tumor in her breast. Her doctor told her it had to be operated on immediately or she would soon die as the cancer spread. That night before the surgery was to take place, she couldn’t sleep. She was going back and forth in her mind whether she should have the surgery or not. Her doctor had told her the cancer had advanced to the point where there was a good chance of her dying even if the surgery was performed. She tossed and turned not knowing what to do. Sobbing and crying out to God, she begged Him to tell her what to do about the surgery. Suddenly, she heard a knock at the front door. She looked at the clock and her heart began to pound. It was 2:30 AM. She opened the door and found the pastor of her new church standing there. He told her that God had woken him up and told him to go and pray for her and she would be healed. The pastor anointed her with oil and prayed for her healing and she went back to bed. The next morning she called her doctor and told him she was not going to have the surgery. She didn’t tell him about the pastor. Just that she was canceling her surgery. The doctor was angry with her and told her to come into his office the next day. She kept the appointment and the doctor was astounded. This very large tumor was gone. It had completely disappeared. That was when she told the doctor that the pastor had prayed for her healing. This took place about fifty years ago and this attorney’s mother is still alive and healthy today. She is in her nineties and never had a single tumor again. Her cancer didn’t go into remission. It disappeared as if it were never there! Not only did her doctor become a Christian believer after witnessing this healing miracle, but his entire staff also became Christians. The attorney’s mother has a Bible that the doctor gave her and tucked inside is a letter he wrote giving the details of the miraculous healing. During this season of Lent, we prepare to celebrate on Easter Sunday the most astounding, life-changing miracle the world has ever known. The Son of God risen from the dead is immutable and He is still our super miracle worker. When I was young I used to marvel at Superman who could fly. Now that I’m older, I marvel at SuperJesus who can make a large cancerous tumor disappear from a woman’s breast overnight. Governments, atheists and some Christians call the miracles of Jesus “fairy tales” but the Word of God is not a fictitious fantasy, it’s real life. And in your real life and mine, that’s where we find our own Super-Hero. His name is Jesus Christ. AMEN?